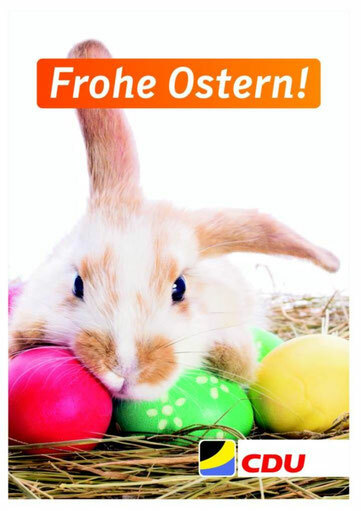 Ihre CDU-Eschweiler wünscht Ihnen ein frohes Osterfest! I really like it whenever people get together and share opinions. Great blog, keep it up! My brother recommended I might like this web site. He was once totally right. This post actually made my day. You cann't believe just how so much time I had spent for this information! Thank you! These are truly impressive ideas in regarding blogging. You have touched some fastidious points here. Any way keep up wrinting. Spot on with this write-up, I honestly feel this website needs a lot more attention. I'll probably be returning to read more, thanks for the information! Good post. I learn something totally new and challenging on blogs I stumbleupon every day. It's always interesting to read articles from other writers and practice something from their sites. For the reason that the admin of this web page is working, no question very rapidly it will be well-known, due to its feature contents. excellent points altogether, you just received a new reader. What might you suggest in regards to your submit that you made a few days ago? Any positive? I visit every day a few websites and websites to read content, except this weblog gives quality based posts. There is definately a great deal to find out about this issue. I really like all of the points you made. Hello there, just became aware of your blog through Google, and found that it's truly informative. I am gonna watch out for brussels. I will appreciate if you continue this in future. A lot of people will be benefited from your writing. Cheers! Simply want to say your article is as surprising. The clearness on your put up is simply nice and i could suppose you're an expert in this subject. Fine with your permission let me to clutch your feed to keep updated with forthcoming post. Thank you 1,000,000 and please keep up the gratifying work. Nice post. I learn something new and challenging on websites I stumbleupon every day. It will always be useful to read through content from other authors and use a little something from their web sites. I seriously love your website.. Excellent colors & theme. Did you make this web site yourself? Please reply back as I'm hoping to create my own site and want to know where you got this from or what the theme is called. Kudos! I think the admin of this site is really working hard in favor of his site, as here every data is quality based stuff. What's up everyone, it's my first visit at this site, and piece of writing is genuinely fruitful designed for me, keep up posting these articles. It's a shame you don't have a donate button! I'd without a doubt donate to this fantastic blog! I suppose for now i'll settle for bookmarking and adding your RSS feed to my Google account. I look forward to new updates and will talk about this blog with my Facebook group. Chat soon! Hello, i think that i saw you visited my weblog so i came to �return the favor�.I am attempting to find things to improve my site!I suppose its ok to use a few of your ideas! !